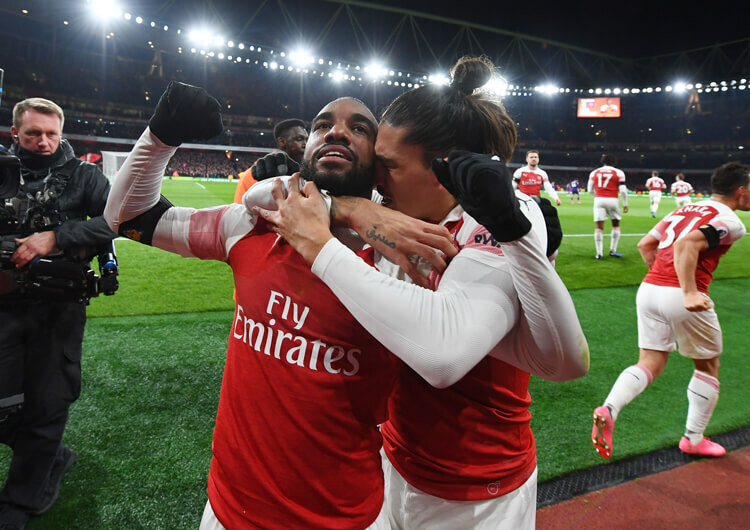 Unai Emery and Arsenal extended their unbeaten Premier League run to 11 games and maintained the pressure on the top four with a controlled victory over Bournemouth at the Vitality Stadium. The Gunners led on the half-hour mark in fortunate circumstances, when Jefferson Lerma deflected a Sead Kolasinac cross past Asmir Begovic with what would have been a sensational finish for any striker. The hosts equalised on the stroke of half-time, Josh King finishing off a swift counter-attack after excellent work from Callum Wilson and David Brooks – but Arsenal led again midway through the second half, when Pierre-Emerick Aubameyang slid in to send another Kolasinac centre past Begovic, and held on to claim another important three points against tricky opponents. Eddie Howe set Bournemouth up in a 4-2-3-1 formation in possession, with Jefferson Lerma and Dan Gosling operating as the two deep central midfielders while Ryan Fraser, Josh King and David Brooks supported Callum Wilson in attack. The home side struggled to secure and maintain good possession, but when they did they would look to attack in one of two ways. 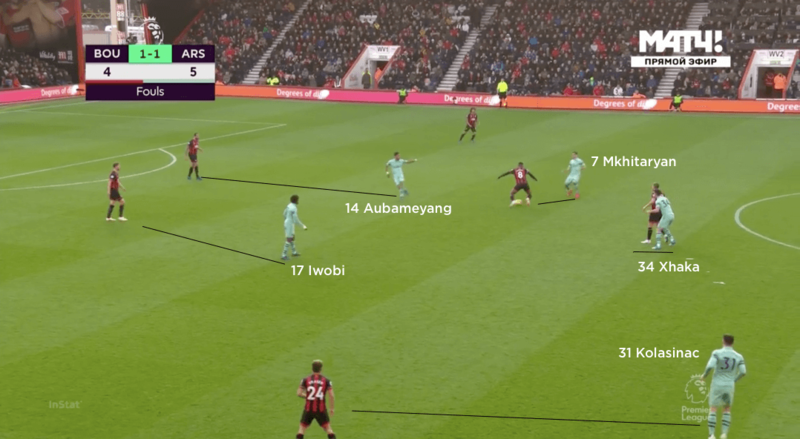 One was to play direct passes in between the outside Arsenal centre-backs and their full-backs, for Wilson to receive and hold up with a view to bringing others into play. The alternative approach was also focused on the space in between the outside centre-backs and full-backs, but this time by using wide play. 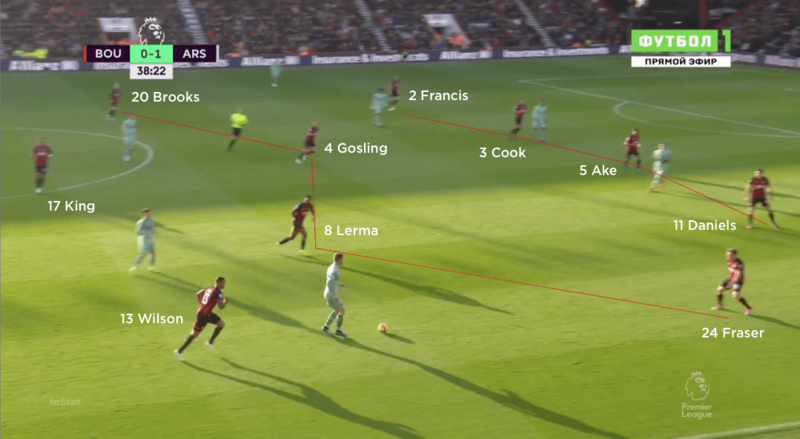 In this approach, they would play into Gosling and Lerma in order to attract Arsenal players towards the centre of the pitch, before then playing out to their advancing full-back. Their success here was inconsistent, however, as Arsenal regularly swarmed the ball and managed to prevent it from going wide. 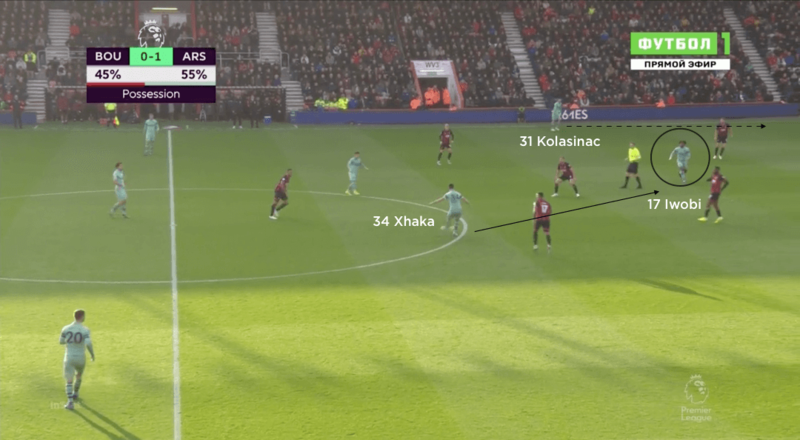 When Bournemouth were able to get the ball out, the relationship between the full-back and wide midfielder on each flank was important in dealing with the aggressive press of both Arsenal wing-backs. 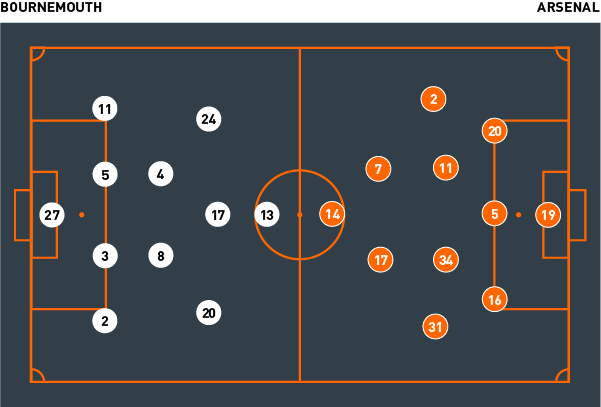 The hosts would also look to switch play, usually with shorter passes rather than longer, direct passes, but with the intention of trying to find gaps between the Arsenal defence. This was evident in the single goal they scored on the day, as Wilson and Brooks combined to switch play from left to right for Josh King to curl home an excellent finish. Out of possession, Bournemouth switched between a 4-3-3 when pressing high and a 4-4-2 mid-block.  When Arsenal goalkeeper Bernd Leno had possession, Wilson and King would split between the three centre-backs so whoever received the ball could be pressed. 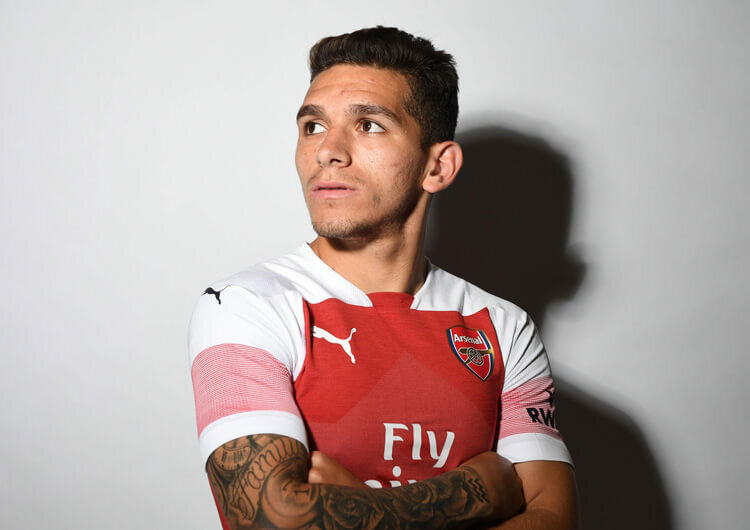 Gosling would lock on to Granit Xhaka, but that still left Lucas Torreira free to receive to feet and look forward – and, with both Alex Iwobi and Henrikh Mkhitaryan further up the pitch, Bournemouth would find themselves in trouble if the initial press was broken. The 4-4-2 mid-block was designed to make them difficult to break down, but the central pairing of Gosling and Lerma struggled to screen passes into Mkhitaryan and particularly Iwobi, whose blindside movements gave Torreira and Xhaka simple options ahead of them. The height of the Arsenal wing-backs made it difficult for any other Bournemouth players to move inside to help. Bournemouth set up in a 4-2-3-1 shape in possession, with Dan Gosling and Jefferson Lerma as the two deeper-lying central midfielders. Callum Wilson operated as the main central striker. 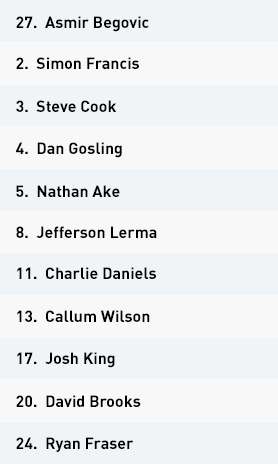 One of Bournemouth’s out-of-possession structures was a 4-4-2 mid-block, with David Brooks and Ryan Fraser tucking in alongside Gosling and Lerma. The two central midfielders were often bypassed, however, as they moved towards Granit Xhaka and Lucas Torreira and left space behind. 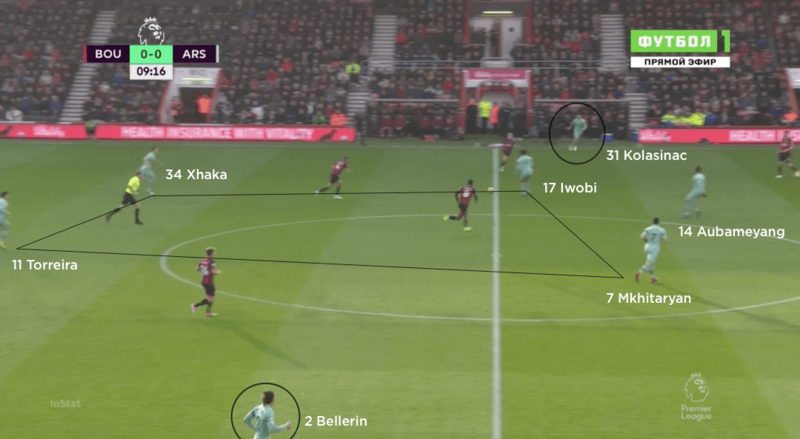 Bournemouth tried to exploit the space between Arsenal’s outside centre-backs and wing-backs. The relationship between Bournemouth’s full-backs and wide attackers, in this case Simon Francis and substitute Junior Stanislas, was important in trying to beat the aggressive press of the wing-backs. Arsenal set up with a box of four in midfield, with Torreira and Xhaka sitting deeper than Henrikh Mkhitaryan and Alex Iwobi. The width was provided by wing-backs Hector Bellerin and Sead Kolasinac. The visitors utilised an aggressive man-oriented press out of possession. Arsenal regularly found joy playing through the Bournemouth lines to Iwobi and Mkhitaryan. This would then trigger the forward movement of the wing-back. Unai Emery set Arsenal up with three at the back – Rob Holding, Shkodran Mustafi and Sokratis – and a box of four in midfield, with Lucas Torreira and Granit Xhaka at the base and Alex Iwobi and Henrikh Mkhitaryan ahead of them. The width was provided by wing-backs Hector Bellerin and Sead Kolasinac, while Pierre-Emerick Aubameyang started as a lone striker. Arsenal tried to play through Bournemouth as much as possible, and enjoyed plenty of success playing into attacking midfielders Iwobi and Mkhitaryan between the lines. 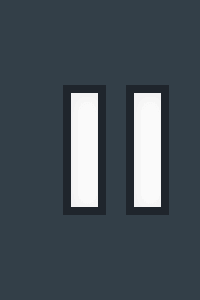 As the ball travelled into either one, the wing-back on that side would make a forward run behind the Bournemouth full-back – with the opposite attacking midfielder then making a diagonal run towards the ball for any pass in behind. 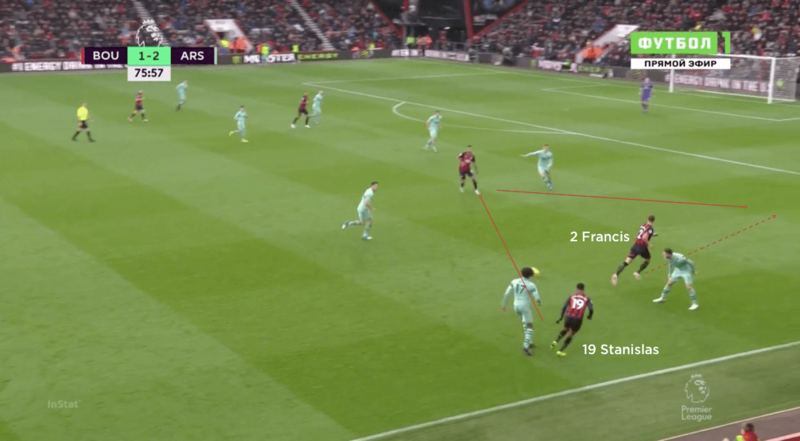 The fluidity between the Arsenal players in possession caused Bournemouth problems, but the visitors had the freedom to do this because of the security provided by Xhaka and Torreira – not to mention a back three – behind the ball. Out of possession, Arsenal utilised a man-oriented press and would look to regain possession as high up the pitch as possible. 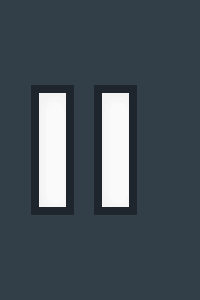 Typically, Aubameyang would press the centre-back with the ball and try to show him wide; the ball-side attacking midfielder would move towards the full-back to press as well; the ball-side deep central midfielder would lock on to Bournemouth’s nearest central midfielder, and the opposite attacking midfielder would lock on to Bournemouth’s further central midfielder. 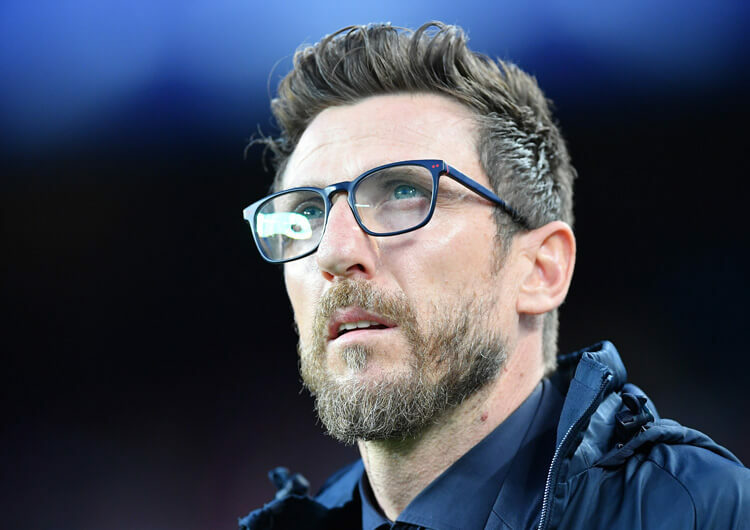 This then left either Torreira or Xhaka free to defend any passes into the striker’s feet, while the back five could deal with Bournemouth’s attacking four. Occasionally, one of Iwobi or Mkhitaryan would join Aubameyang in pressing both Bournemouth centre-backs. In these cases, the other and one of Torreira or Xhaka would cover Bournemouth’s central midfielders, while the ball-side wing back would push up to press the opposing full-back. 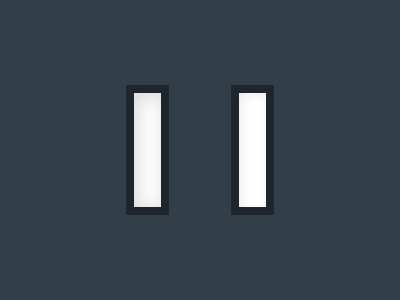 The rest of the back five would then shuffle across to cover the space. 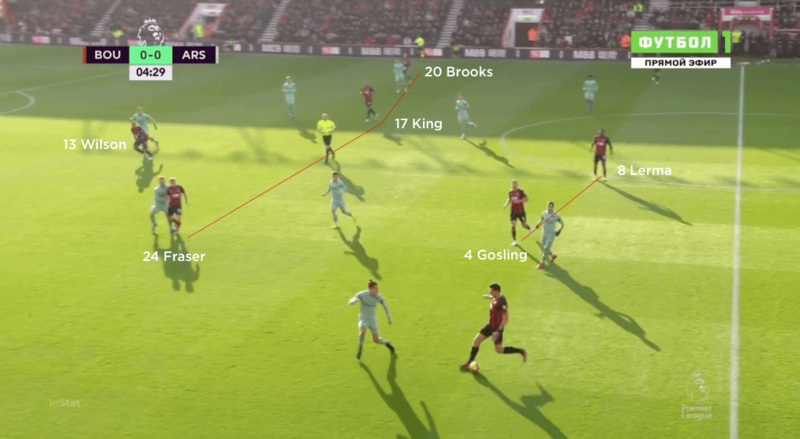 This aggressive press caused Bournemouth lots of problems in possession, regularly forcing them into long, inaccurate passes and occasionally resulting in turnovers high up the pitch.